Rising health-care costs can put a huge dent in the savings of your retired clients – unless they planned ahead for such costs. Although Canada’s publicly funded (and provincially administered) universal health-care system, known as Medicare, covers most medical expenses, some clients may need to be reminded that some services, such as dental care and physiotherapy, must be covered by private insurance. That’s why you should have a conversation with your clients about any health-care costs they may have to pay once they retire. Heather Holjevac, senior wealth advisor with TriDelta Financial Partners Inc. in Oakville, Ont., says your clients should begin planning early – i.e., in their 40s and 50s. Acquiring health-care insurance can become too expensive later in life. Plus, as clients get older, they may not qualify for insurance coverage. Clients tend to sideline thinking about medical expenses during retirement for two main reasons, Holjevac says. First, Canadians assume that Medicare will take care of all their health-care needs. Thus, your clients simply may become accustomed to not having to pay for visits to doctors or hospitals. Second, while your clients are still employed, their group insurance plans typically cover all or much of the health-care services not covered by public provincial plans. These clients may never have had to bear the full cost of those services. In fact, although Medicare provides medically necessary care, such as hospital, diagnostic and physician services, retirees must pay out-of-pocket for dental care, vision care, prescription drugs and other services, such as chiropractic and physiotherapy, that are not deemed essential under the Canada Health Act – unless your clients have private or group insurance coverage. But some of your clients may be eligible for coverage of their non-medically necessary health-care costs, depending on their province of residence. For example, residents of British Columbia, Quebec and New Brunswick are eligible to participate in government-sponsored prescription drug plans, the premiums of which are linked to income level. In Ontario, residents who are over age 65 qualify for the Ontario Drug Benefit Program, which covers most of the costs of prescription drugs, but may be subject to deductibles. But government-sponsored plans don’t cover all prescription drugs, says Matthew Williams, head of institutional and client service at Toronto-based Franklin Templeton Investments Corp. Innovative drugs for certain serious illnesses can be quite expensive, putting individuals at risk if they cannot pay for those drugs. Although many Canadians are not prepared to cover health-care costs in retirement, they are worried about these expenses, according to Franklin Templeton‘s 2018 Retirement Income Strategies and Expectations (RISE) survey. Assisted-living care and medical and pharmaceutical expenses during retirement are two of the top three concerns of 80% of Canadians who have not yet retired, says Williams, citing the RISE study. Furthermore, that survey revealed that more than half of Canadians don’t know how they will pay for medical expenses in retirement. Those people who do know say they plan to rely on their retirement savings, pensions and benefits, government assistance, private insurance, and children and family. Insurance coverage clearly is the best option for your clients who would prefer not to have to cut into their income or savings, or rely on family members. Dhanji points out that some clients may be able to retain their employee health insurance benefits when they retire. These clients must opt in for this coverage, usually within 60 days of leaving the workplace plan. The benefit of choosing this option is that the client won’t have to complete a medical questionnaire or submit to a medical examination in order to qualify. Premium costs are based on the client’s age at the time the rollover coverage comes into effect. Clients who are self-employed can acquire private insurance to cover their health-care costs during retirement. However, to be eligible, these clients must provide evidence of good health, although some plans may offer limited coverage without a medical examination. 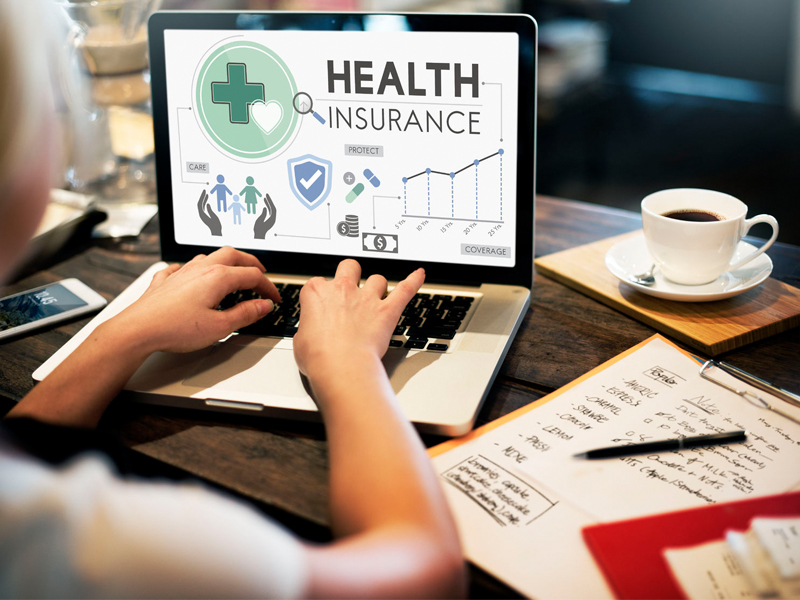 Coverage offered by individual private insurance varies widely, from basic plans that cover prescription drugs and dental costs to enhanced plans that also may include prescription eye care and other services that Medicare doesn’t cover. Premiums for private insurance depend on the plan and the client’s age and health condition. The underlying problem for retirees is that health-care costs generally increase as those clients age, Williams says. And if your clients need long-term care or assisted care, those expenses can be financially devastating without insurance coverage. However, unless a client acquires long-term care or critical illness insurance well before retirement, Holjevac says, the premiums can be prohibitive.